When will be Arabian Inferno next episode air date? Is Arabian Inferno renewed or cancelled? Where to countdown Arabian Inferno air dates? Is Arabian Inferno worth watching? The parched and barren landscape of the Arabian Peninsula offers a vivid backdrop for life in the harsh desert. Water is scarce and death due to the extreme heat is common, yet a natural world continues to flourish. Follow some of the desert's most iconic creatures and learn the unique ways in which they've adapted to the stark conditions around them. Despite the global dominance of mammals, reptiles rule Arabia. Creatures must be adaptable to survive in the Arabian Desert. A wadi is a rare desert waterhole. 3 billion birds migrate through the Arabian Peninsula. 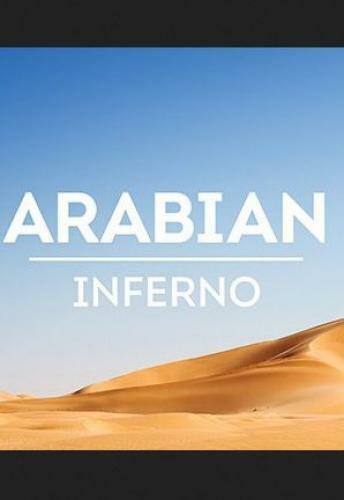 Arabian Inferno next episode air date provides TVMaze for you. EpisoDate.com is your TV show guide to Countdown Arabian Inferno Episode Air Dates and to stay in touch with Arabian Inferno next episode Air Date and your others favorite TV Shows. Add the shows you like to a "Watchlist" and let the site take it from there.